Getting the job done is important. But staying safe is even more important. 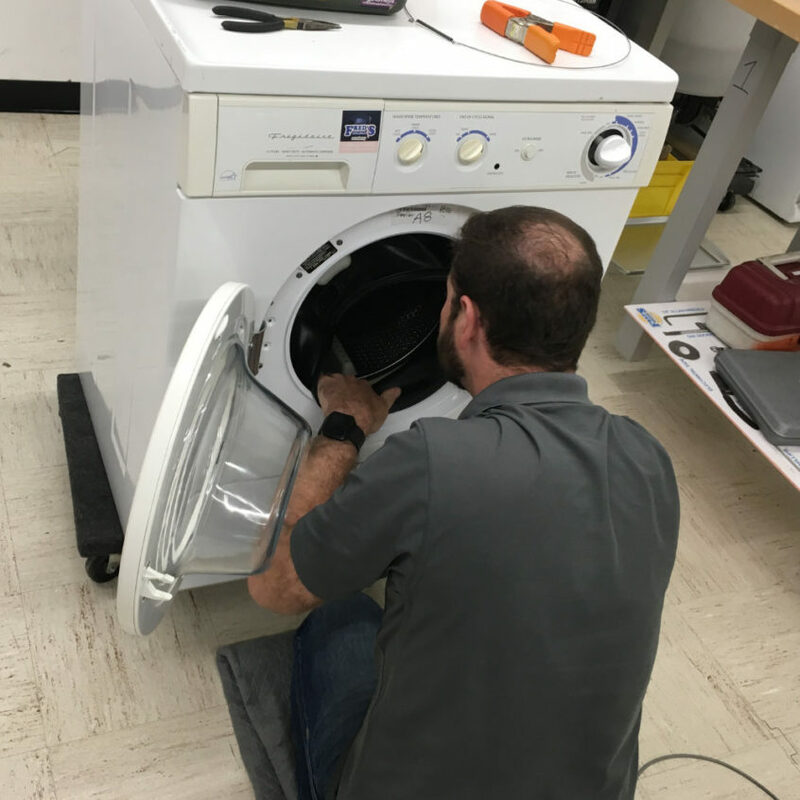 Appliance repair can be dangerous and uncomfortable, but the right equipment can keep you safe. That’s why we talked about knee pads and other tools that can help. But while knee pads can help reduce knee strain and the risk of repetitive stress injuries, they can’t do it all. Here are five more tools that will help you during the course of your workday. During most appliance repair jobs, your eyes are going to be safe. But any time your handling chemicals or glass, make sure your eyes are covered. If you’re removing an oven door or dismantling a part next to glass bulbs, there’s always a chance something will shatter. Your hands might be full or you might try to catch something falling, and safety glasses protect your eyes. It’s just as important to wear safety goggles if you’re laying on your back to access part of an appliance. They’ll stop particles from settling in your eyes, and they’ll also help protect your face if you drop something. The first few times you wear gloves as you work, it’s going to make you feel clumsy or like the work is going twice as slow. But they’ll protect your fingers from sharp metal edges. Wear them any time you can’t see where your hand is going or you’re using a potentially sharp handhold to remove a panel. There are different types of gloves for different circumstances, so look for the pair that obstructs how you work the least. 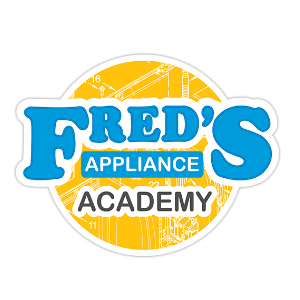 Appliance repair is cleaning and maintenance work half the time. That means you’re going to encounter mold and mildew, dust, pet hair, and chemical residue. Don’t let any of it get into your lungs. Even occasional exposure to mildew can have harmful effects on your health. The best thing you can do is find masks that block against common toxins and particles, especially if you work on appliances with water connections or in older homes. Putty knives aren’t just for putty. Most washing machines have retaining clips that you to push open to reach the inside of the machine. Stovetops often have the same mechanism. The last thing you want to do is try to pry appliances open with your fingers. Fishing for the retaining clips with a thin flathead screwdriver is only marginally better. But a wide putty knife can find and open the clips in no time. Putty knives can also help you pry back rubber seals, like around a refrigerator or dryer door, without putting pressure on a narrow section. Electrical appliances always carry some degree of danger. Even when they’re unplugged or the circuit breaker is flipped off, the metal elements can still hold a charge. Some appliances, like microwaves, are especially dangerous and dispersing the built-up charge is actually one of the default procedural steps when you’re taking it apart. Other appliances can hold onto smaller charges that are less fatal but still painful. Tools with insulated rubber handles let you safely disperse a charge when the procedure calls for it. It also reduces the risk of a smaller, unexpected charge reaching your fingers. These extra tools are easy to incorporate into your basic toolkit. They’re also fairly inexpensive and easy to supply to all of your employees as your business expands. 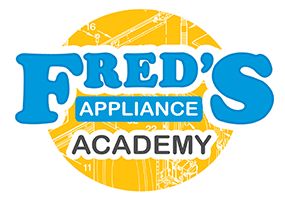 Stay safe and prepared for every job by going to Fred’s Appliance Academy for the right hands-on training and tools to start or expand your business.